Featured amenities include complimentary wired Internet access, a 24-hour business center, and a safe deposit box at the front desk. Planning an event in Durango? This hotel features 3240 square feet (292 square meters) of event facilities. A roundtrip airport shuttle is complimentary (available on request). 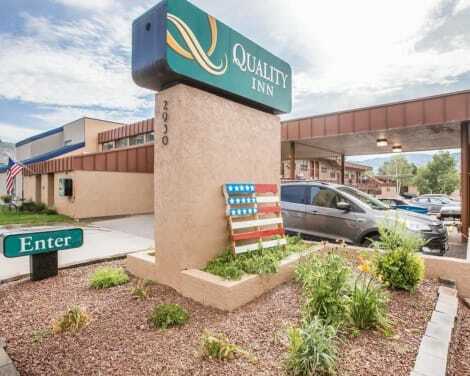 Grab a bite from the grocery/convenience store serving guests of La Quinta Inn & Suites Durango. A complimentary continental breakfast is served daily. With a stay at Residence Inn by Marriott Durango in Durango, you'll be within a 5-minute drive of Durango and Silverton Narrow Gauge Railroad and San Juan National Forest Supervisor's Office. 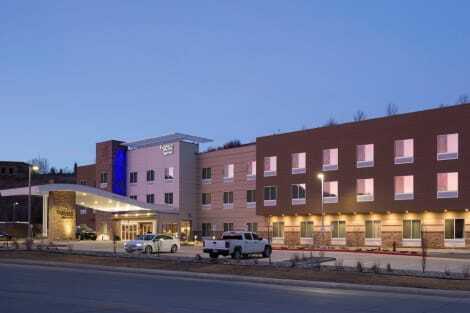 This hotel is 27.8 mi (44.7 km) from Purgatory Resort and 0.7 mi (1.2 km) from Henry Strater Theater. Enjoy a satisfying meal at Mahogany Grille serving guests of Historic Strater Hotel. Relax with a refreshing drink at one of the 2 bars/lounges. Cooked-to-order breakfasts are served on weekdays from 6:30 AM to 10 AM and on weekends from 6:30 AM to 1 PM for a fee. lastminute.com has a fantastic range of hotels in Durango, with everything from cheap hotels to luxurious five star accommodation available. We like to live up to our last minute name so remember you can book any one of our excellent Durango hotels up until midnight and stay the same night.